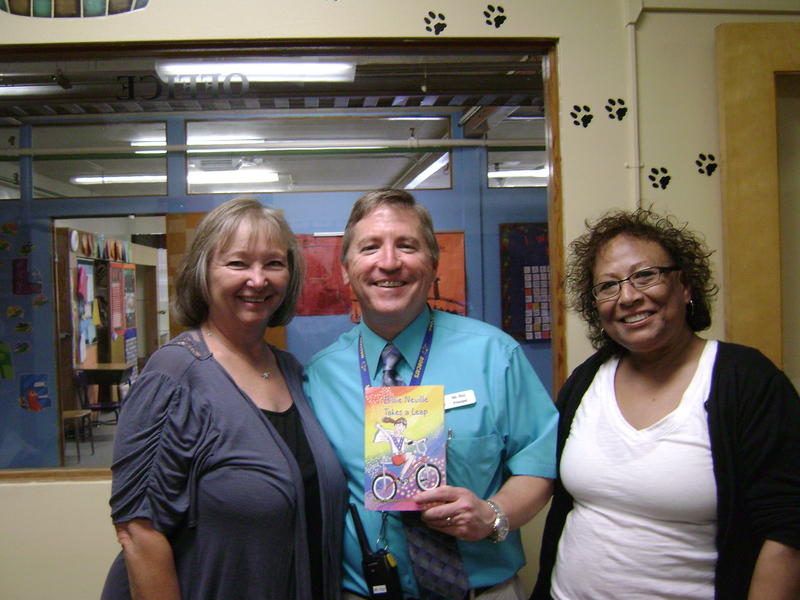 Today we stopped by Morningside Elementary in Twin Falls and presented the Principal, Steven Hoy, a copy of our book, Billie Neville Takes a Leap. Billie attended Morningside in 1974, the year Evel Knievel attempted to jump the Snake River Canyon. Thank you, Morningside Elementary for letting us wander your halls. You have a great school. This entry was posted in Appearances, Books, year 2014 archives and tagged Billie Neville Takes a Leap, Bonnie Dodge, Evel Knievel, Morningside Elementary.